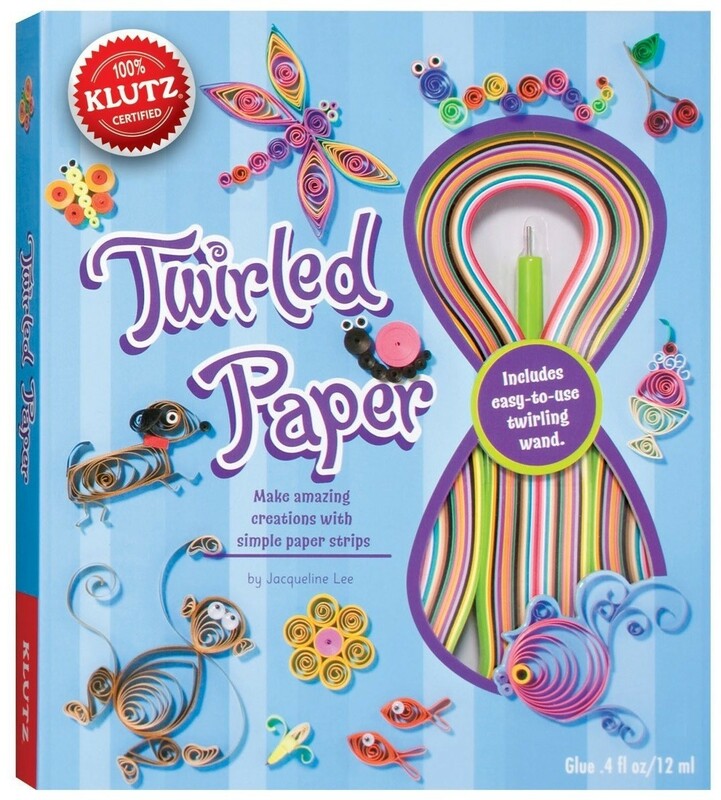 Explore the 500-year-old art of quilling — curling strips of paper to make decorative scrollwork doodads — with this fun and accessible craft kit from Klutz! 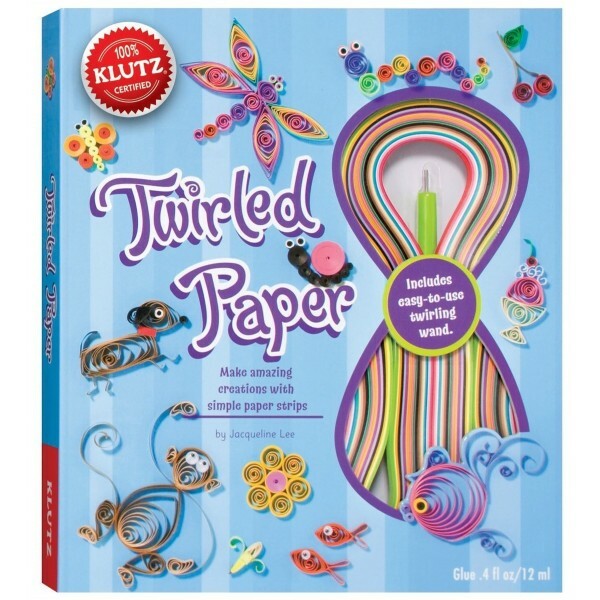 Make amazing paper art with a few twirls, curls, folds, flourishes, and a little imagination. Thirty projects with step-by-step instructions are detailed throughout this 56-page book, which comes with 110 brightly colored paper strips, a twirling wand, googly eyes and glue. Whimsical charm meets unlimited potential. It's a twirled twirled world!